Although both colds and influenza (flu) are respiratory illnesses with similar symptoms, they are caused by different viruses. Flu symptoms tend to be worse than cold symptoms, and often include fever, body aches, a dry cough and extreme fatigue. 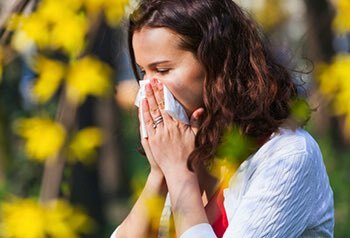 A runny or stuffy nose is more likely to indicate a cold. If necessary, special tests can be administered to distinguish between the two viruses. only for the first three days. Some people, particularly children, also experience diarrhea. Although most flu-like symptoms clear up within two to five days, a person may feel rundown for a week or longer. While it’s possible to detect common viral agents like rhinovirus (the cold virus), most colds come and go before a test is necessary. In cases where a cold is severe and persistent, you should see an MD Now doctor for a physical examination of the lungs, sinuses, throat and ears. 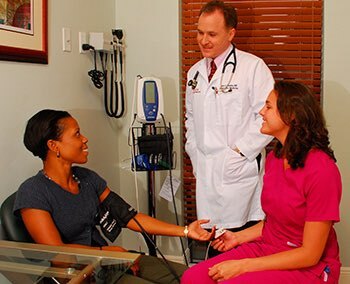 You’ll be asked questions about your symptoms and how long they have lasted in order to determine the best treatment. You may also undergo a throat culture or blood test to rule out other causes of your symptoms. A diagnosis of the flu is typically determined from the symptoms, particularly when they occur during flu season. If there is a lack of symptoms or some doubt about their cause, a rapid flu test may be administered. This involves taking a sample from the back of the throat or nose with a cotton-tipped wooden stick. The sample is then sealed in a packet and sent to the lab for testing. In some cases, the rapid flu test may be performed in the office, with results available in 30 minutes. In most cases, a cold will go away on its own without need for treatment. If you experience severe symptoms, though, you should see an MD Now doctor to make sure you don’t have something more serious. If the doctor determines it is just a cold, you may be provided with treatment to lessen the severity of the symptoms. It’s best to treat flu symptoms within the first 72 hours. Your MD Now Urgent Care physician can prescribe anti-viral medications to shorten the duration and severity of your symptoms. This could keep a mild case of influenza from become severe enough to warrant a trip to the emergency room. If you’re experiencing cold or flu like symptoms, but are unsure whether you need to see a doctor, contact your nearest MD Now Urgent Care for advice. Come into MD Now for a flu vaccine. It takes about two weeks for the vaccine to provide protection against the flu, so you’ll want to get vaccinated well before flu season begins. We recommend getting vaccinated before October 1. If you did not receive the flu vaccine at the start of the season, you should still get vaccinated as soon as possible. Influenza has become a year round illness. Wash your hands frequently, particularly after wiping your nose, diapering, using the bathroom, and before eating and preparing food. Disinfect your environment by cleaning commonly touched surfaces (sink handles, door knobs, and other shared items) with an EPA-approved disinfectant. If you feel or suspect you may be sick, stay home from work or school to avoid spreading the illness to others. An annual flu vaccination is recommended for anyone over the age of six months, including pregnant women and those with chronic health conditions. Vaccination is especially important for those at high risk of developing serious complications from influenza. It’s important to note, however, that different types of flu shots are appropriate for certain age groups. For example, those younger than 18 or older than 65 should not get the intradermal flu shot. People younger than 65 should not get a high-dose flu shot. If you are unsure about whether you should get vaccinated, or you have questions, talk to an MD Now medical professional beforehand. If you think you have or may have an allergy to eggs or any of the ingredients in the vaccine. If you’ve ever had a history of Guillain-Barré Syndrome (GBS), a severe paralyzing illness. If you are currently not feeling well, make sure you discuss your symptoms with your doctor before receiving the vaccine.